Oldë English Web Development - Here in America! I grew up on the opposite side of the valley from Buckton Castle. Can you see it in the photo? It&apos;s on top of the hill on the left. 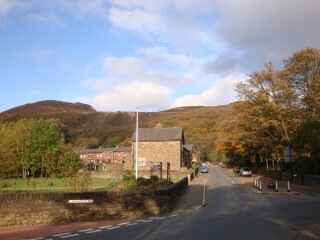 The village in the picture is Carrbrook – an outlying part of the town of Stalybridge, about 8 miles east of Manchester. I grew up in the village of Heyrod, also on the outskirts of Stalybridge, across the other side of the River Tame. There are no ruins above ground – just a defensive ditch. Although i walked most of these hills as a lad, I never got to see Buckton castle, because the hill was out of bounds, as there was a working quarry on it. My dad used to say that it wasn&apos;t a real castle – just a minor defensive fort, probably dating back to iron age times. Now the quarry is closed. In 2007, archaeologists, who also believed it was a little fort, moved in. What they discovered astounded them. They dug down, and found the foundations of huge medieval walls! Buckton Castle had actually been a real ringwork castle, of great importance, and the view of it would have dominated the whole of the Tame Valley. 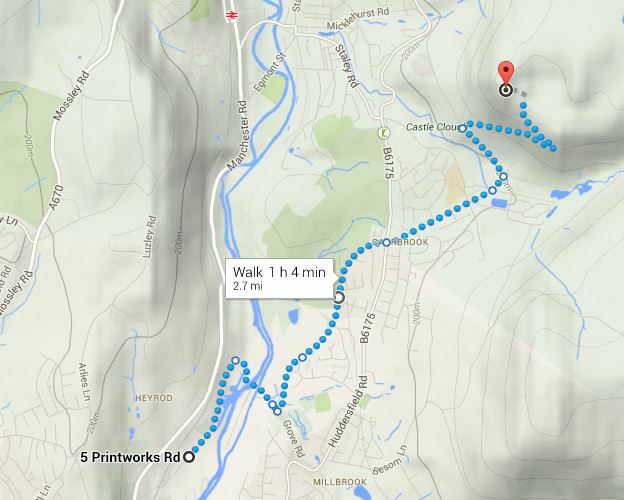 So I grew up near a medieval castle, and I never knew it, and I never got to walk over it! 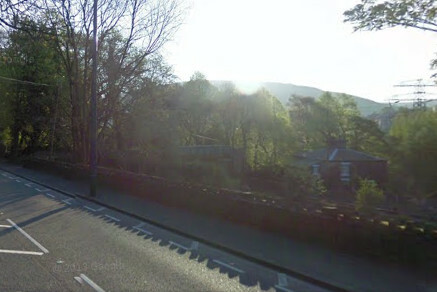 Google Street view shows the house where I grey up on the right in the rees, and the view of Buckton castle across the valley, into the glare. This website is powered by ClassicPress version 1.0.0, using the Oldcastle theme, version 0.1, from Old Castle Web Solutions.